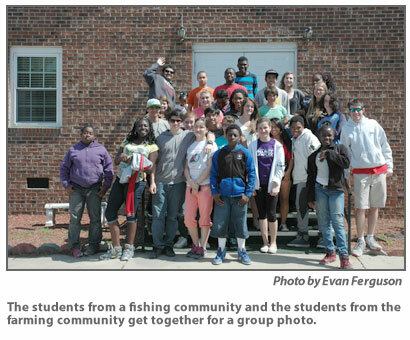 The students from a fishing community and the students from the farming community get together for a group photo. 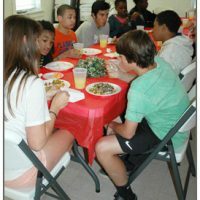 Her goal, in addition to restaurant skills, was to broaden the students’, and by extension, their families’, knowledge of healthy choices and the art of making smart — but delicious — decisions about selection, preparation, and overall enjoyment of the food they consume. When they got the go-ahead in the spring of 2014, she wasted no time, and, within three months, Dare County Schools had installed the kitchen and Ferguson had written the curriculum in compliance with the state curriculum, NCDPI. Ferguson added Praxis to her license certification, allowing her to teach Family and Consumer Sciences. And they were ready to turn on the stoves! 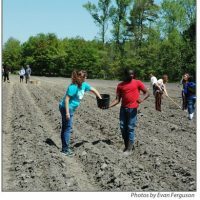 Like other dedicated teachers at CHSSCS, Ferguson wanted to supplement her less than ideal budget in order to fully exploit the opportunities this new class offered, including creating a school garden and introducing bee hives. She successfully applied for and received seven grants – several of which were pretty hefty – and was recently recognized for this achievement by the Dare County Board of Education and the Superintendent of Schools. The grants covered a variety of needs, including transportation to Conetoe, kitchen and gardening supplies and equipment, beekeeping equipment, and technology (mini iPads). 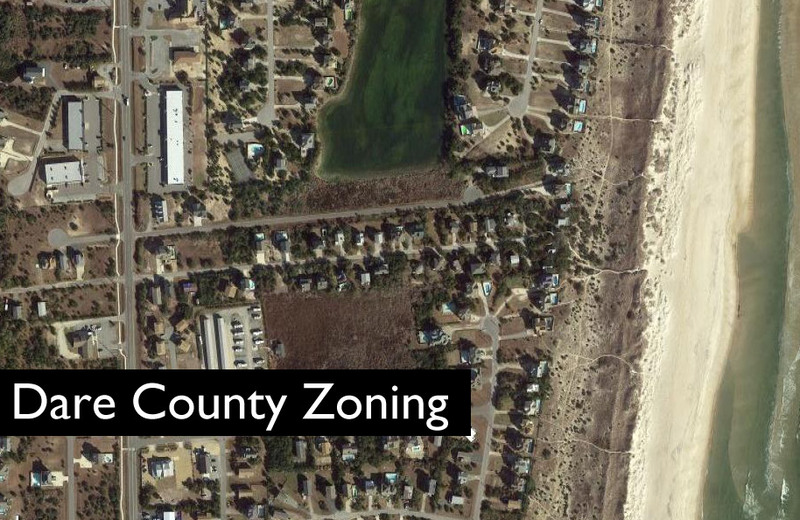 One of the grants is intended to supplement equipment and to allow Ferguson to work with schools on Ocracoke and Down East to “incorporate like goals and classroom lessons.” Cape Hatteras Secondary School of Coastal Studies will lead the way. Grantors included Bright Ideas, Hatteras Youth Education Fund, Education NC, Blue Cross Blue Shield NC Foundation, Saltwater Connections/Resourceful Communities, and Burt’s Bees (Guess what they donated!). In addition, she received numerous donations of many types from Hatteras Island residents who heard about the project and wanted to support it — fresh fish to share and to cook along with other consumables, cookbooks, lumber for the compost bin and the raised bed garden necessary on this tide-prone island, garden tools, soil, fertilizer, even aged horse manure. They also received cake-decorating supplies, artwork for classroom cafe, a Champion juicer, and flower pots. Recently, a teacher offered doors for a future greenhouse. This is a STEM program, and that makes it eligible for a number of grants that may not be otherwise available. She and Rooks have made this a cross-curriculum program that includes the science, technology, engineering, and math departments at the school. The carpentry students built the compost bin and the raised bed garden. Ferguson’s sister, Erin Del Monte, is a science teacher at the school, and her biology class is using the new garden as a lab and will be in charge of the beekeeping operation when it starts next year. They travel to Conetoe, along with the Food students. In fact, during recent Earth Day and Food Day events all four departments participated in hosting the festivities. The students have the opportunity to “show off” their new skills in the school with tastings a few times a year. They also supplied the buffet for the Veterans’ Day celebration honoring local veterans that was held in the school, much to the pleasure of all in attendance. 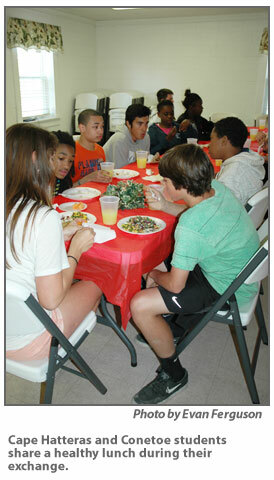 Recipes are shared with the staff, as part of the overall goal is to ensure they, too, have healthy alternatives. The staf, will also be able to share in the harvest. “A garden was always part of the plan especially as I have a long-term plan to get local food into the school cafeteria,” Ferguson said. That won’t be so easy, but it is being done elsewhere and she is determined. In fact, she intends to obtain her Agricultural Praxis next year so she may implement horticulture classes in the 2016-2017 school year. Ferguson regularly gets such comments from parents, who are amazed by the interest their children have developed in good eating habits and who bring the family up to date! Now, how does this tie into Conetoe Family Life Center? Susan West and I were excited about our Day at the Docks connection with them and wanted to take it to the next level, establishing an ongoing food exchange. But we really did not see a clear path. Then Evan Ferguson’s new class held promise. We asked Rev. Joyner when he was a Seafood Throwdown judge at the 2014 Day at the Docks if he would be willing to talk with her and see if they could develop the cooperative relationship that Sager encouraged. He was very enthusiastic and told us to have her call him. She did, and it was the beginning of an enriching experience for all involved – on many levels. They arranged for Ferguson to bring her class and her sister’s biology class over to Conetoe. There they would deliver fresh, local fish (cleaned and ready to cook), tour the garden, and share a lunch while exploring future possibilities. But the cost of transportation was $900 and not in their budget. They applied for local funding but did not receive it. Not only did they provide the funding but also sent a videographer along to create a documentary and a photographer to record the visit. Sager, herself, traveled from her office in Chapel Hill to participate in this important new venture. 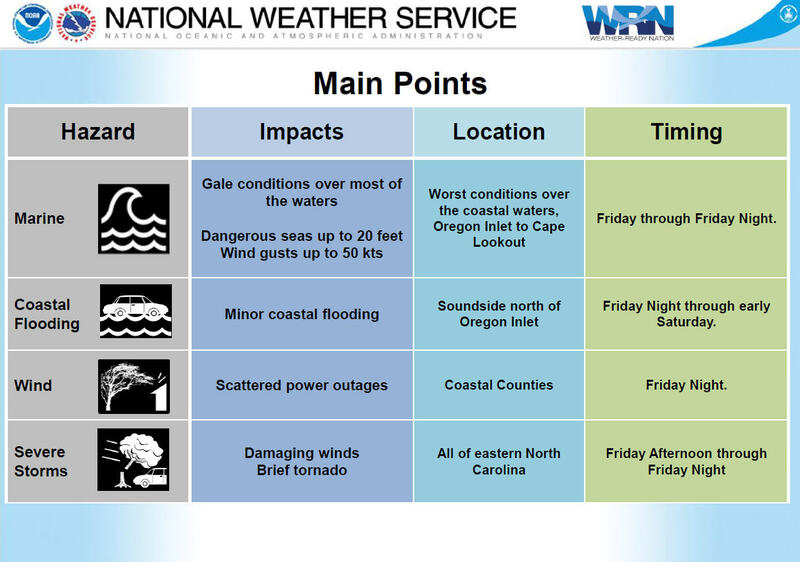 As sometimes happens here, the weather was not cooperative. A nor’easter had come through causing flooding on parts of Highway 12, but it was not bad enough to stop the bus! In fact, they made it through just before the road was closed! Both Ferguson and Joyner had prepared their students for the cultural aspect of this first visit. 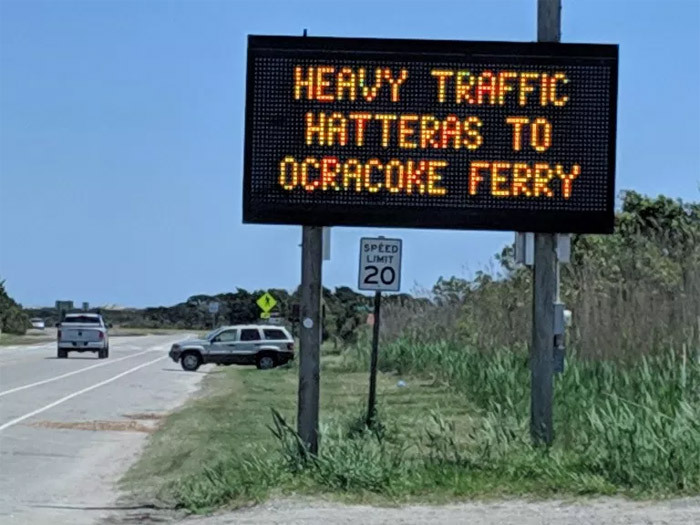 Hatteras is mainly Caucasian and Conetoe, African-American, and there was a little uncertainty about how they would respond to each other. That was unnecessary! To the young people, “It was no big deal. They had great interaction,” Evan Ferguson proudly proclaimed. 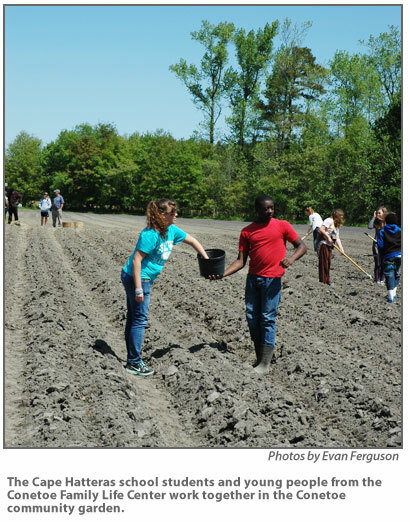 In April of this year, the students returned to Conetoe for a fuller visit, where they participated in planting. Again, they brought fish to share, and, in return, were given fresh produce and plants for their new school garden. 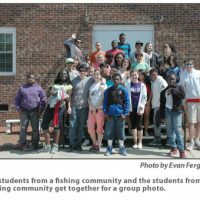 This second trip was funded by The Hatteras Island Youth Education Fund. There were students of all grades there, even some from the elementary schools. Ferguson found it “wonderful to watch the interaction, Some high school kids were paired with first graders and had a great day!” They even found time to make some music together around the piano and shoot a few baskets before the day was over. 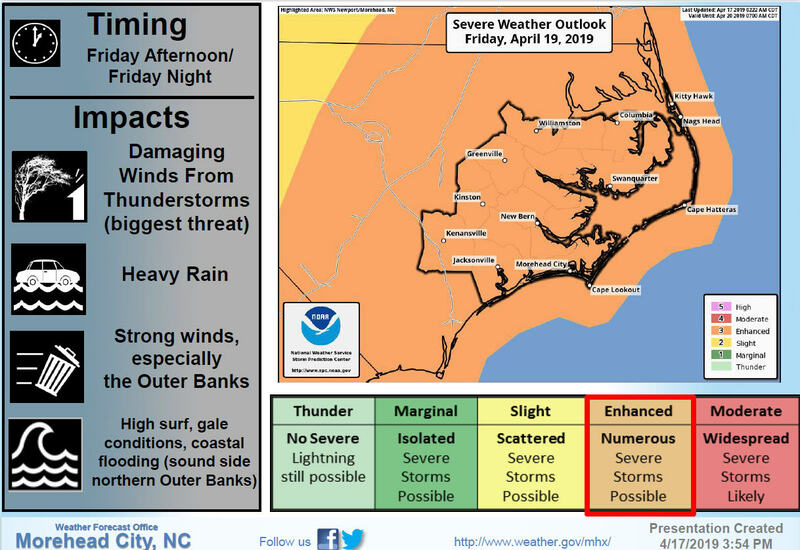 Cape Hatteras Secondary School now offers three Foods1 classes, essential to building the program, and next year they will introduce two Foods 2 classes. These classes will involve more intricate recipes and sanitation techniques and, on completion, students will be “Serve Safe Certified.” This is a sanitation accreditation that should give the students an edge when applying for restaurant jobs. A professional beekeeper visited the classroom this semester and is ready to help them get started with their beekeeping venture during the next school year. They are planning to eventually sell their honey to support their program and supplement their grants. Promoting and using local seafood is a major component of their plans. While all seafood shared with Conetoe has been generously donated by Jeff Aiken of Jeffrey’s Seafood, it is their hope that they will be able to support local fishermen by purchasing fish in the future. And, some day, we may actually have local seafood in our school cafeterias! And next to it on the plate, fresh produce from the school garden!